Kids with disabilities are three times more likely to experience abuse compared to kids without disabilities, according to the group Prevent Abuse America. One reason: Kids and teens with special needs may be more dependent, longer, on caregivers. They may not grasp that some abusive behaviors are just that – and they may not be able to escape or defend themselves. Adding to the issue for concerned parents. A boy with autism bullied and abused by teachers. Stuart Chaifetz is dad to Akian, a ten-year-old with autism who was verbally abused at school. Perhaps the most difficult aspect of recognizing the signs and symptoms of abuse and neglect is that individuals with developmental disabilities may exhibit certain physical and/or behavioral traits due to the nature of their disability. Therefore, it is very important to recognize changes in behavior or health (particularly those not typically associated with the individual's disability) as potential abuse indicators. It is also important to note that there is no universal response to abuse or neglect. Above all else, be mindful that any sudden change in the physical, behavioral, or financial status of someone with a developmental disability may be the result of past or ongoing incidences of abuse, neglect or exploitation. While each victim of abuse, neglect, or exploitation will respond differently, the available research data reveals that the presence of certain physical and behavioral indicators (described in greater detail below) are highly correlated with abusive situations and environments. "The indicators or warning signs of abuse are clues that something is happening in the life of the person that should be looked into. Some indicators are obvious signs of abuse. Other indicators are subtle, requiring careful observation. In some situations abuse may not be occurring at all. It is important to think about the person and any health or behavioral issues they have. Some people may get injured more easily due to health reasons or aging. For example, some medications and some health problems like hemophilia (where the blood clots slowly) can cause easy bruising. Some people may engage in self-injurious behaviors that cause injuries that look like abuse. Even if you discover that a person has a health or behavioral issue that might be the cause of the injury, it is still important to investigate to rule out abuse as the cause. It is important to put aside any biases that you might have that care providers would not abuse a person with a disability that they support.¹"
Caregivers with limited capacityhave a limited ability to understand that their actions may hurt their victims but are unable to distinguish between abusive and non-abusive behaviors. Cultural issues sometimes come into play in these situations. For example, caregivers may interact (or respond to a behavioral issue) with a person with a developmental disability in a way that they themselves were exposed to as a child (even though such methods could be considered abuse in the eyes of the law). Stressed caregiversmay become unable to cope with life stressors and become abusive to persons with developmental disabilities, even though they lack abusive or sadistic intent. It is important to keep in mind that there is never a valid or acceptable reason (including stress) to abuse, neglect, or exploit an individual with a disability. Batterers (intentional abusers)seek power and control over their victims by any means necessary. Batterers' behavior physically harms, arouses fear, and prevents victims from doing what they wish, or forces them to behave in ways they do not want. Caregivers with Munchausen Syndrome by Proxy (MSBP) or other Factitious Disordersengage in a pattern of behavior in which they deliberately exaggerate or make up stories and/or cause physical and/or psychological/behavioral/mental problems in order to gain attention. In most cases, the caregiver claims the victim is sick, or actually makes the victim sick, then continually takes the victim for medical treatment, all the while denying knowledge of the real problem. Sometimes abuse of persons with developmental disabilities takes the form of acts that could be thought of as well-intentioned but unsuccessful attempts by the caregiver to ensure the person's well-being. "If they're (personal assistants are) feeling angry for some reason…at you or whatever, they might set you down in your chair a little harder than normal. Or…position you in a little rougher way. And you sit there thinking, 'Now did he mean to do that?' It's really hard to distinguish. It makes you question yourself a lot." Bruises are among the most common injuries found in children and adults with developmental disabilities who have been abused. Bilateral: means bruises on same places on both sides of the body.� Bruises would appear on both upper arms, for example, may indicate where the abuser applied pressure while forcefully shaking the person.� Bruises on both sides of the body rarely result from accidental causes. The following are some other physical indicators of abuse or neglect of persons with developmental disabilities. In each case, other indicators such as behavior and circumstances must be considered. Human bite marks are easily distinguished from those of animals by their size and shape, and whether flesh is torn. 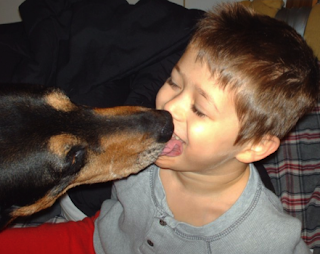 If bites are explained as self-inflicted, the location and position of the bite must be consistent with the person's functional abilities. Shaking and other forms of abuse can result in coma of undetermined origin without external injuries. Comas not associated with known accidental causes or clearly identified disease processes should also be suspected. Certain locations on the body are more likely to sustain accidental injury. These include the knees, elbows, shins, and forehead. Protected body parts and soft tissue areas, such as the back, thighs, genital area, buttocks, back of legs, or face, are less likely to accidentally come into contact with objects that could cause injury. The greater the number of injuries, the greater the cause for concern. Unless the person is involved in a serious automobile accident, he/she is not likely to sustain a number of different injuries accidentally. Multiple injuries in different stages of healing are also a strong indicator of chronic abuse. Many non-accidental injuries are inflicted with familiar objects: a stick, a board, a belt, a hair brush. The marks which result bear a strong resemblance to the objects used. Accidental marks resulting from bumps and falls usually have no defined shape. If an injury is accidental, there should be a reasonable explanation of how it happened that is consistent with the appearance of the injury. When the description of how the injury occurred and the appearance of the injury are inconsistent, there is cause for concern. For example, it is not likely that a person's fall from a wheelchair onto a rug would produce bruises all over the body. As children grow and gain new skills, their ability to engage in activities that can cause injury increases. A toddler trying to run is likely to suffer bruised knees and a bump on the head. Toddlers are less likely to suffer a broken arm than an eight-year-old who has discovered the joy of climbing trees. Sensory integration problems: Some people with different kinds of disabilities may be overly sensitive to touch, textures, taste, or temperature. These persons may resist hugs, face washing or other harmless/innocent types of touch. This can also look like failure to thrive or significant behavioral problems. Mongolian spots: Mongolian spots which are bluish or bruised-appearing areas that are usually seen on the lower back or buttocks. These spots are harmless and occur more commonly in persons of color. They may remain for months or years. Throughout history children have been subjected to sexual abuse, and recently the number of reported sexual abuse incidents has continued to rise. Studies have estimated that between 200,000 and 500,000 children are sexually assaulted or abused every year! Here’s a shocking fact – historical data indicates that one in four girls and one in ten boys is likely to be a victim of sexual abuse, and it is widely suspected that a large portion of sexual assault cases among children are never reported to the authorities. The uniqueness of children with special needs increases their risk of abuse. Children with physical or mental disabilities may have a longer dependency on a caretaker, and may be troublesome to manage since many have difficulty with basic social interaction and behavior. It is critical to understand and be able to spot the signs and symptoms of sexual abuse. However, it is important to remember that the presence of a single one of these indicators is not conclusive. Some signs which may be within the norm for some children may not be typical for others. However, if a substantial combination of these signs is present, it may be reasonable to suspect that sexual abuse exists. In short, sexual abuse is improper sexual contact between an adult and a child, or any forced sexual contact. * Child displays bizarre, sophisticated or unusual sexual knowledge or behavior. * Child acts seductively toward classmates, teachers or other adults. * Child is fearful of particular places or persons. * Child demonstrates abrupt change in behavior or personality. * Child appears withdrawn or depressed. * Child begins to overeat or under-eat. * Child regresses to immature behaviors such as wetting pants or sucking thumb. * Child demonstrates over-aggressiveness or acts out. * Child cries without provocation. * Child has feelings of low self-worth. Emotional abuse is the most difficult form of abuse to identify. Even though emotional abuse often happens along with other forms of abuse, it can also occur by itself. Caregivers who have power and influence over others' lives can use that power to harm or exploit, rather than to support and nurture. This can be especially devastating for children in their developmental years, but it can be harmful for anyone. Direct disclosures of abuse, neglect, or exploitation are powerful evidence, even when some details are incorrect. Complaining of soreness or pain when unrelated to disability or illness. All disclosures should be given attention and referred to the appropriate authorities for full evaluation. Difficulty learning can be a result of abuse for complex reasons. Much of the child's energy is directed toward surviving the abuse and coping with stress. This leaves little energy for learning or other typical childhood activities. Psychotherapy, or other appropriate treatments, can lead to improvement for those whose learning disabilities resulted from their psychological response to abuse. Aggression may be the person's way of discouraging interaction with others. For example, an abused child may keep to himself and avoid other children, but become aggressive when unable to avoid interaction4. Taking advantage of individuals with a developmental disability can rob them of their independence and the ability to afford the basic necessities of life, such as food, rent payments and medicine. It's also a crime and should be reported right away to the Florida Abuse Hotline. If you notice any of these signs or suspect that a person with a developmental disability might be a victim of exploitation, please contact the Florida Abuse Hotline immediately. A number of factors can make it difficult to identify abuse, neglect, and exploitation of persons with developmental disabilities. Many people with developmental disabilities have grown accustomed to being treated without respect, and are used to routine treatment that most other people would not tolerate. People with developmental disabilities may view only the most severe acts against them to be worthy of attention and possible reporting. The victim may consider an incident "unimportant" unless it involves serious physical harm. Some people with physical disabilities require help with personal care routines such as dressing and bathing throughout their lives. Personal care routines require physical contact, and may result in occasional touching of sexual parts of the body, with the result that the person can't tell whether these touches are accidental, required, or abusive. People with developmental disabilities who are dependent on others for their day-to-day care may be fearful that if they let anyone know they are being mistreated, they will no longer receive the care they need. They may also fear reprisals from their caregivers if they tell anyone. Some people with developmental disabilities are limited in their ability to communicate verbally about an abusive incident. Adaptations may be required to insure adequate communications. Behavioral and circumstantial indicators become more important in identifying abuse, neglect, and exploitation in these cases. Some people with developmental disabilities resulting in behavioral or cognitive impairments engage in self-abusive behaviors, or are prone to accidental injury. This makes it more difficult to identify abuse, neglect, or exploitation when it occurs for these persons.